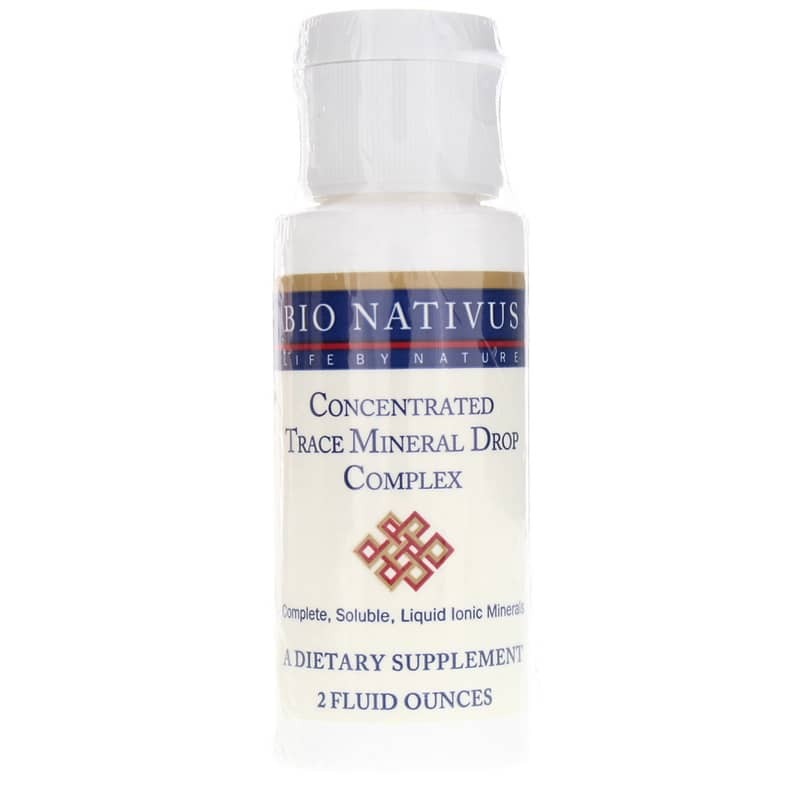 Concentrated Trace Mineral Drop Complex from Bio Nativus is a complete, comprehensive mineral supplement. 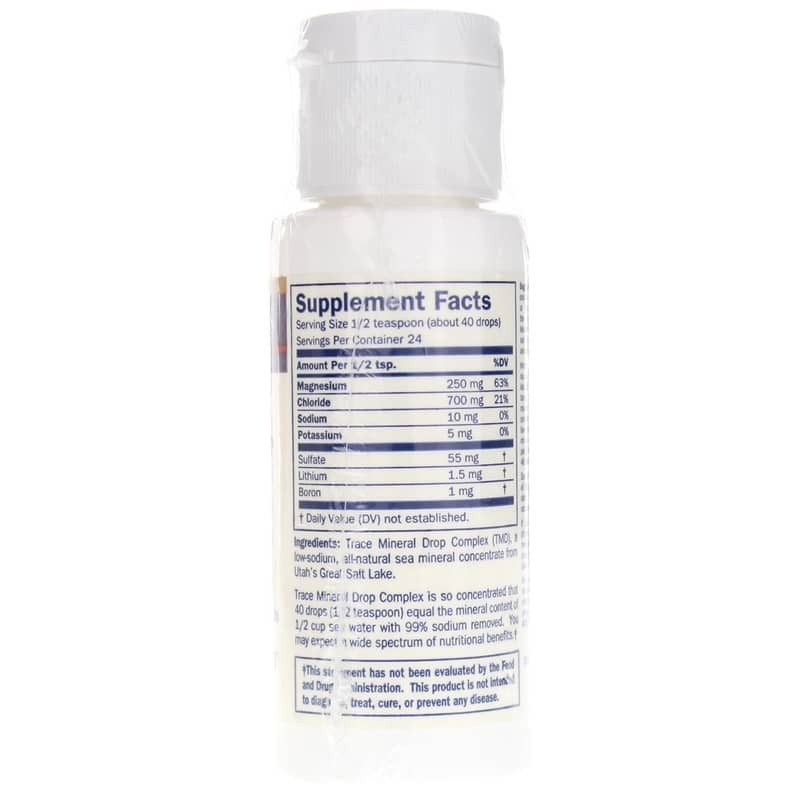 Trace Mineral Drop Complex offers in 1/2 of a teaspoon the mineral content of 1/2 of a cup of sea water with 99% of the sodium removed. Ionic minerals are the key to persons overall well-being. Every day our bodies rely on ionic and trace minerals to conduct and generate countless tiny electrical impulses. Without these impulses, not a single muscle, including the heart, is able to function. Ionic minerals also play a role in regulating hormones, enzymes, amino acids and the immune system. They are required to build and maintain the structure of the body, brain function, blood glucose and pH balance and keep the intestines healthy and fully functioning. 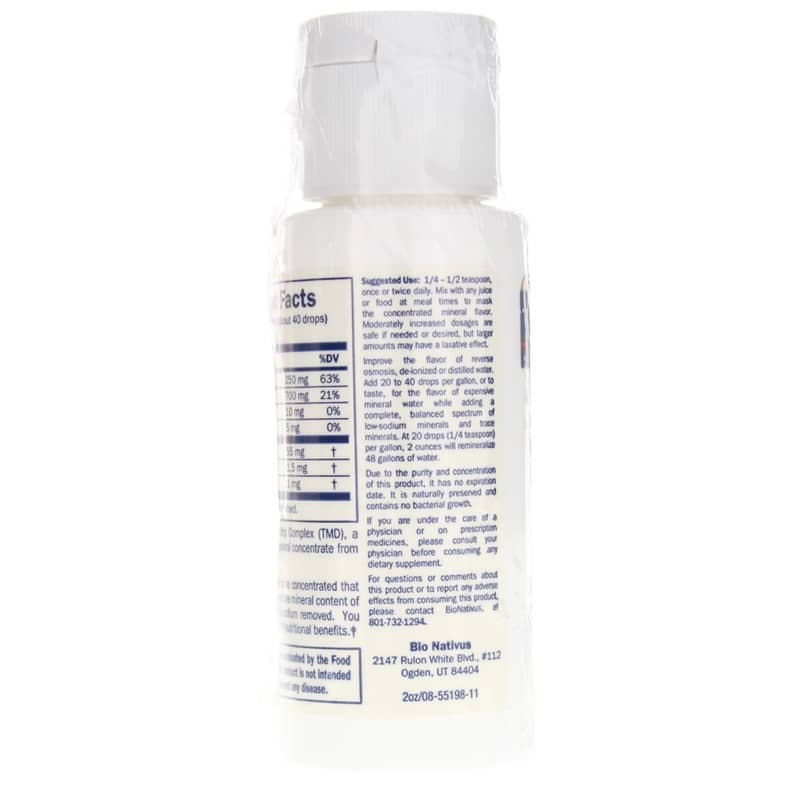 Other Ingredients: Trace Mineral Drop Complex (TMD), a low sodium, all natural sea mineral, concentrate from Utah's Great Salt Lake. Adults: 1/4 to 1/2 teaspoon once or twice daily. Mix with any juice or food at meal times to mask the concentrated mineral flavor. Moderately increased dosages are okay if needed or desired, but larger amounts may have a laxative effect. If you are pregnant, nursing, taking medications, or under the care of a physician, please consult your physician before taking any dietary supplement. Keep out of the reach of children.